I want whatever we do to be biblically based. When my wife and I first began in marriage ministry we searched the Bible for wisdom. The challenge is that this is not as easy as doing a word search on marriage. 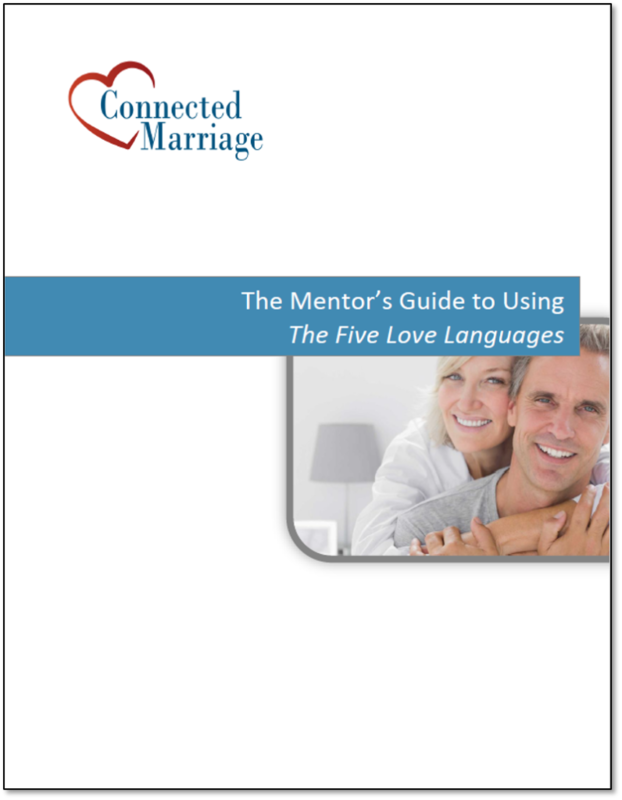 There are a number of topics that relate to marriage and it’s tough to know where to start. We struggled with how to make this easy. We also wanted to learn what marriage researchers determined to be “best practices.” We loved Dr. John Gottman’s books. Rather than starting with a theory, he decided to see how couples deal with conflict in real life. He had couples come and stay in his “marriage lab” where he would watch them. He studied hundreds of couples. He was able to find patterns of behaviors that separated the “masters” from the “disasters” of relationships. He and his colleagues got so that they could predict whether a couple would divorce with over 90% accuracy. We loved his best practice concepts. 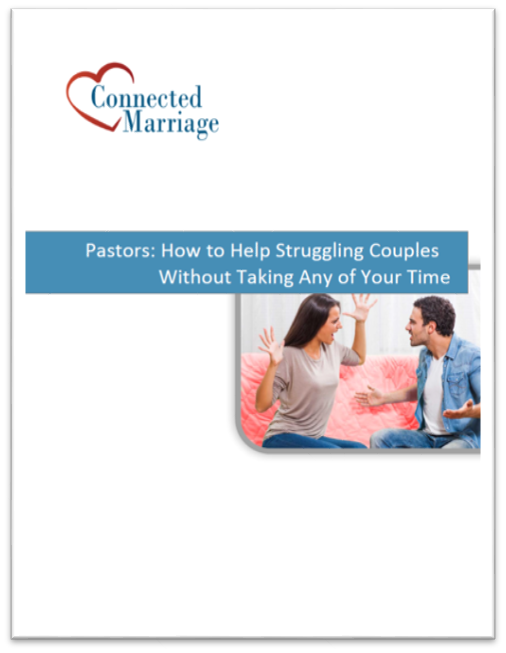 As a Christian, we found his concepts to be totally aligned with a biblically based marriage. The concepts are supported by scripture. We started to incorporate them into our marriage education classes. I want to provide a resource to you that can act as a Bible reference. I created an eBook that can be used for Bible studies, sermon preparation and personal devotions. It has over 50 pages worth of Bible passages organized into best practice topics. There are over 700 passages. There are five major sections. This is one of my favorite topics and is core to understanding the connection that God wants us to have in marriage. In Genesis, the Bible says that God created a helper for Adam. That word “helper” doesn’t translate well. “Helper” sounds like an assistant or a servant. The word actually means much, much more. The word for helper is ezer (pronounced “ay-zer”), and it is used in the context of indispensable rescue and support. In the Old Testament, ezer is used twenty-one times. It is used either in reference to military help in dire circumstances or in reference to God as a helper. In marriage, God created someone to be your partner that you turn to for protection, rescue and soothing. This person is someone that you turn to when you need help. They are your comforter, rescuer and supporter. In the eBook, we listed all the passages that use this word. It helps to gain the nuance of what a helper is. Jesus said that the greatest commandment is to love God with all your heart, with all your soul, with all your mind, and with all your strength (Mark 12:29). Don’t you get the sense that this is meant to be total commitment and something that is obvious to others? Jesus went on to say that the second commandment is to love your neighbor as yourself. In other words, love obviously. I have a cartoon that shows a woman asking her husband, “Do you love me?” He replies, “I told you love you on the day we were married, if it changes I’ll let you know.” That man may love his wife, but he’s not being obvious about it. 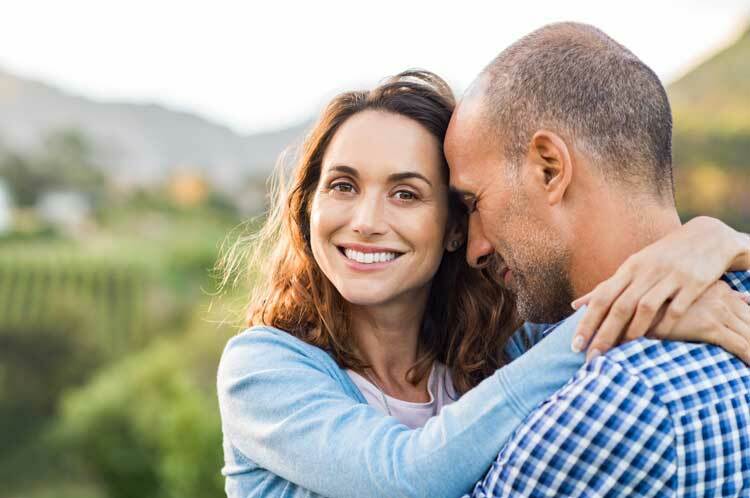 John Gottman’s research shows that couples need to maximize the positive affect. In other words, the more the other person senses and knows that you love them, the better off you will be. His research says that it takes five positive interactions to counteract every negative interaction. Healthy couples have the five-to-one ratio while unhealthy couples have closer to one-to-one ratios. Show your love in a way that your partner feels love. This section of the eBook has passages organized into showing positive affect. Conflict is inevitable in marriage. We are going to disagree with our spouse. What we do with conflict is what makes the difference. Do we allow conflict to build up our connection or do we let conflict tear it down? We can let selfishness drive our conflict and then it becomes about winning. It becomes about me. The other way of thinking is to focus on our connection. How do we work together to build our bond? Gottman calls this change moving from “I-ness” to “We-ness”. We move from thinking about ourselves and start to think about the relationship. Instead of letting our behavior tear down the relationship, we focus on ways to disagree that will help to build connection. Do this even during conflict! Overtime, couples can develop patterns to their conflict. Some of these are destructive. It takes a great deal of work to recognize and to change these patterns. It may require professional help. If conflicts escalate and never reach a constructive solution, that is not good. Taking a break from the conflict to let emotions calm down can be healthy. The problem becomes worse when someone starts to label his or her partner with a negative interpretation. For example, when someone starts to fixate on the other person as being “bad”, they start to interpret their partner’s actions in that negative light. Scripture has a great deal to say about conflict escalation. Sometimes, I think that we forget that basic Christian values apply in marriage. Our spouse can set us off and we forget basic goodness. God is working in us to make us holy. He wants to create foundational values and traits in our life. These value include things like faithfulness, vulnerability, humility and being unselfish. If only we became perfect when we believed! Instead, God leads us and guides us to sanctification. As we develop these values in increasing amounts, they help us to be better husbands and wives! Be Bible Based – The Bible has endured because it’s God’s word. It’s foundational. Don’t Forget the Foundational Values – Sometimes we look for passages in the Bible specifically mentioning marriage. Foundational values, like patience or humility, also apply. Don’t Be Judgmental – Be careful how you use scripture. It can be used to beat people up. Use it with compassion and empathy.